This is a nice shot, but I think the symmetry is stretched a little. 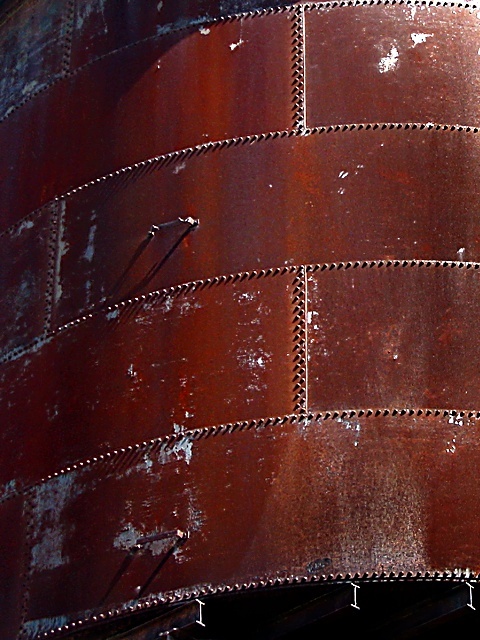 Nice symmetry in the lines of rivets; rusting surface and shallow lighting angle create an interesting shot. I would probably have cropped just above the metal beams at the bottom, but that's just my own opinion. Nicely done! Proudly hosted by Sargasso Networks. Current Server Time: 04/23/2019 01:54:40 AM EDT.